The linage that backs Milestone represents the best in the Simmental industry with the consistency and production records being endless. 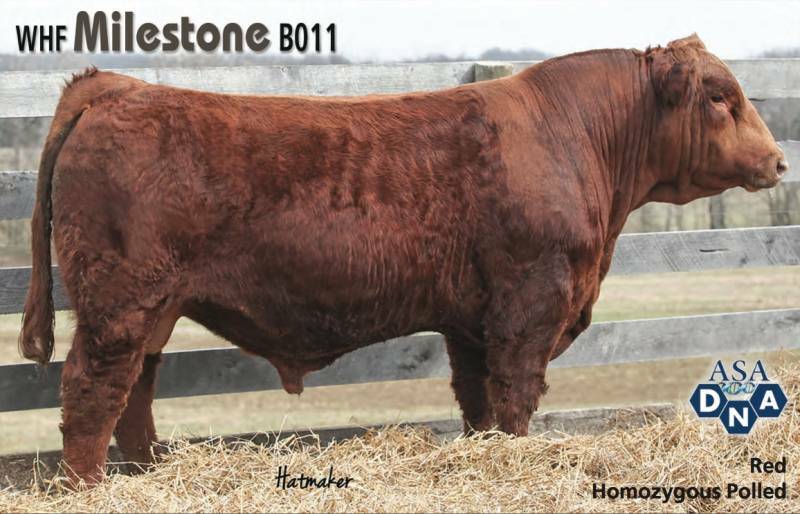 Milestone was the high selling bull from the 2016 Bulls of the Bluegrass Sale and we feel his potential breeding abilities are endless. Look to Milestone to add maternal strength while improving foot quality, soundness and overall marketability.